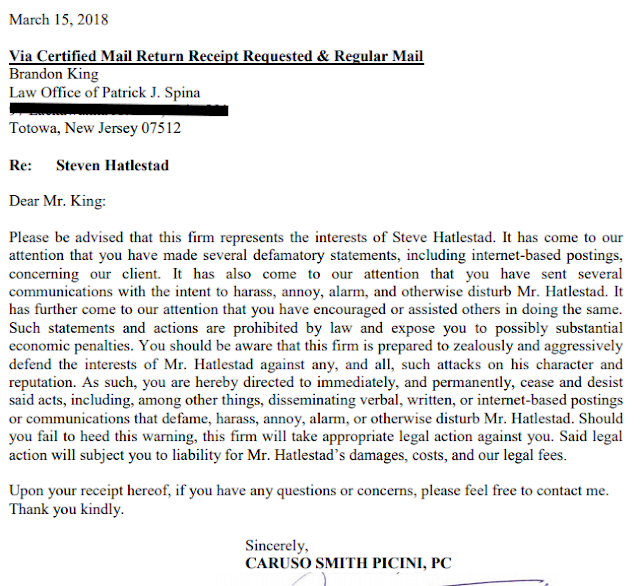 Another Cease and Desist letter was recently delivered to the law office of Patrick J Spina in New Jersey. The first C&D was for the wife of Patrick Spina, Vinnie, the individual who filed harassment charges against me 11 months ago. The second C&D was for Brandon King, a long time employee of the Spina law office. Brandon is also represented by Antonella Mollica, an attorney with the Spina law office who is also a paralegal and blogger. Ironically, Mr. King filed a harassment complaint against me in Texas back in February of 2017. The New Braunfels police department didn't pursue the complaint, but shortly after that investigation closed, Vinnie Spina filed her first complaint against me. This is even more irony, and an amazing coincidence, since Brandon says he doesn't even know Mrs Spina! Brandon's main account at this time is @dlrtreynolds where he's been hard at work the past month getting irontroll blog suspended. He even social engineered Glen Miley Collier (again) and got her off her stationary bike long enough to help him write complaints. We'll see how well Brandon abides by the C&D. I'm thinking not so much, but you never know. It's never too late to learn impulse control. My very dear friend, Donatella, was going to take bets on how long it would be before Brandon violated the C&D, but he managed to do it before anyone could even place a bet! Oh well. 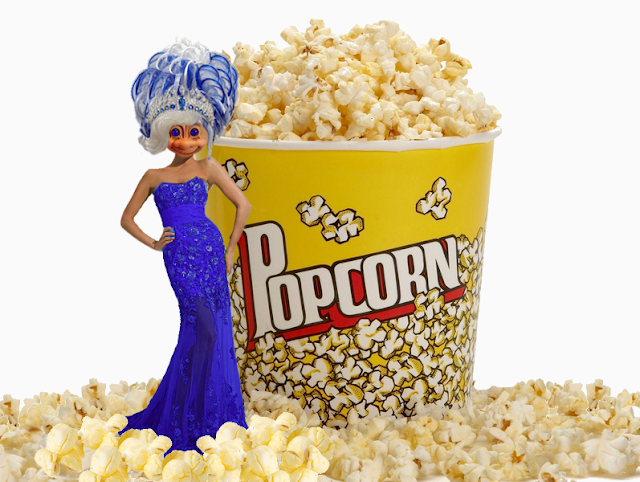 I did put on the shiny blue dress and tiara as suggested but the consequences are out of my hands now. You can read the C&D below the Donation break.